The Recipe: There's so much to love about these quick and easy muffins. That deep molasses sweetness, just like hot squares of fresh gingerbread. That they're low-fat and low-calorie (thanks to half the butter in typical muffin recipes) yet still keep a moist and delicate crumb. Plus, they're made in a flash with a few pantry ingredients. But most of all, they just taste good. What's NOT to love? The Conversation: Waking early on Saturdays to make muffins. BZZZZZZ. The alarm buzzed with insistence until groping fingers located the snooze button. Still half-asleep, my mind began to sketch out a typical busy Saturday. Exercise! I promised. Then stops at the grocery, the shoe man, the car wash. A birthday present for a friend, flowers for a neighbor with cancer. I checked the weather with just-opened eyes. The sky was unmistakably threatening, the wind unseasonably fierce. Was it February or almost June? Those sounded like blizzard winds! Muffins! I thought. Postponing the day’s busy-ness, I jumped from bed and headed for the kitchen where I knew the pickings were slim. What about that recipe for gingerbread muffins, a family hand-me-down? Surely those few ingredients were on hand? Thirty minutes later, warm muffins and hot coffee were on the table. Ah, there’s nothing better than a busy Saturday kicked off by muffins-as-motivation. ALANNA'S TIPS The batter will be quite thin, don't worry, it will bake up just fine. The method of mixing the dry ingredients into the wet ingredients is unorthodox but I've used it successfully with cookies and quick breads for many years. If you like, however, stir the dry ingredients separately before adding to the butter-molasses mixture. For a recent batch, I stirred finely chopped dried apricots into the batter. Yummy! Currants or raisins would work too. Place water and butter in a small microwave dish (such as a Pyrex measuring cup). Heat in microwave in ten-second increments until water boils and butter melts. Meanwhile, whisk the egg well in a mixing bowl. Add sugar and molasses and mix well. Add water and butter mixture and stir well. Add remaining ingredients. Without touching the wet mixture below, lightly stir together the dry ingredients to combine, then stir them into the wet mixture until just combined. (Over-stirring the wet and dry mixtures will create holes in the baked muffins.) Spoon into greased muffin tins and bake for 10 minutes for mini muffins and 20 minutes for regular muffins. Remove from oven and cool 5 minutes before removing from pan. NUTRITION INFORMATION Per Mini Muffin/Regular Muffin or Two Mini Muffins: 57/114 Calories; 2/4g Tot Fat; 1/3g Sat Fat; 13/27mg Cholesterol; 94/189mg Sodium; 9/18g Carb; 0g Fiber; 1/2g Protein. WEIGHT WATCHERS POINTS Old Points 1/2 & PointsPlus 3. MY APOLOGIES (2014) Weight Watchers who count points, my apologies. A careful reader, Sabina, questioned the point calculation for this muffin recipe. I re-calculated the points and sure enough, using the system I use now for calculating points versus the one I used back in 2003 when this recipe was first published, the calculations turned out much different. 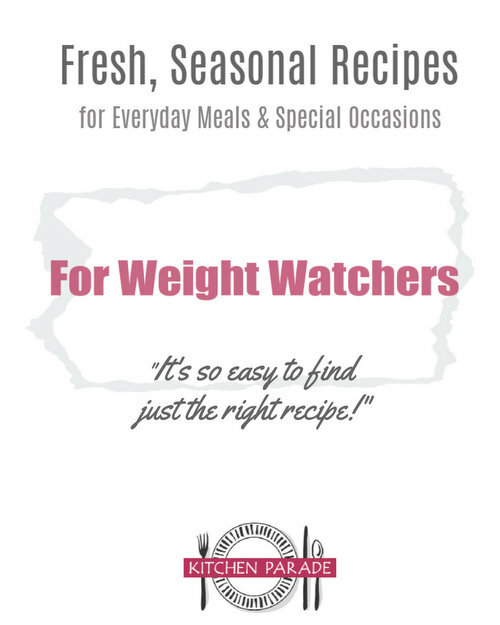 The nutrition information and Weight Watchers points have been updated. More Family Recipes - Thanks, Everybody! I'm a little surprised there is no "ginger" in the gingerbread muffins. Is this a typo? Hi Lotus & Anonymous, How funny, I'd not noticed that there's no ginger. For these muffins, the 'gingerbread' taste comes from the molasses. That said, if you'd prefer to use ground ginger to substitute for cinnamon, feel free, I think it would be excellent! I don't like to mix wet and dry ing. separately, so I've come up with a slightly different solution. I add the salt, baking soda or powder, cocoa powder, etc to the wet ingredients first and mix well, and then add the flour and mix enough to combine. That way, the leavening and flavorings are distributed throughout, and the flour doesn't get overmixed. Easy and one fewer dish! Alanna, I know you don't "guarantee" your weight watchers points calculations, but when I add up the points in the recipe I get 27 which would be 2 points per regular sized muffin. Am I missing something? Thanks for all the wonderful recipes. Aiii, numbers are funny, aren't they? I suspect that our different techniques yield different results, more likely to happen when the point values are on the cusp. With your way, adding up the points for each ingredient, the natural consequence is to accumulate more points. The software that I use adds calories, fat grams and fiber grams (and all the others) and then divides by the number of servings. So some ingredients might only contribute .75 points, say, rather than the 1 point you likely assigned. 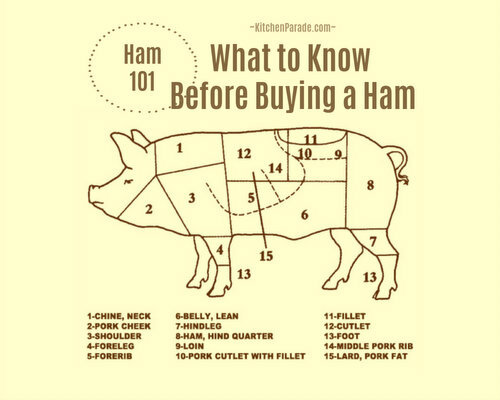 Hope this helps - I much appreciate your question. Mistakes happen, of course, but more than that, I'm just so pleased with the idea that we're all in this together. So truly -- thank you! Just made the muffins YUMMY. I added ginger about 1 light t. to the mix. This is very similar to the Hot water gingerbread in Boston Cook Book (w/a forward signed Mary J. Lincoln 1884) but lighter texture. thanks for the points info. That's what inspired me to make them! Bobbi ~ You're a woman of my own heart! So glad to know that the ginger works, if I had 30 minutes this morning, I'd be baking another batch myself! These sound easy and delicious, perfect for breakfast. I love gingerbread at any time of year. I'll add the ginger AND cinnamon. Hi Eunice ~ Aren't the muffins great? No, it's not a mistake, it's a function of a low-fat, low-sugar and small portion size. Those mini muffins are mini! I made the gingerbread muffins, mainly because I was hungry for something sweet and I had all of the ingredients in the house. Wow! They are wonderful! I made the mini ones and put then in the freezer. 20 seconds in the microwave and the are so ready to eat! Thank you! I'm tempted to give this recipe a try but before I do so could I ask you a question? Couls I replace the molasses with sth else? maybe honey? I'm not such a fan of molasses because it is full of sugar and I feel t's usually bad quality sugar. Anonymous ~ Sure, give it a try. They won't be 'gingerbread' muffins but if you don't like molasses, you probably don't like gingerbread either. ;-) So experiment with other sweeteners and let me know how it goes. If you're trying to avoid sugar, you might try savory muffins, perhaps Savory Cornbread Muffins? The grocery store was full of high-fat Christmas goodies but I made these instead. Of course, I changed it a bit: used light butter, Stevia, add 1/2 tsp. ginger and 1/2 tsp. baking powder. I got 9 full size muffins. I used Stevia because I had it left from sugar-free baking I had done. To me, Stevia has a bit of licorice taste and would not use again. Per the WW recipe builder there are 3 PointsPlus with a yield of 9 muffins. Alanna, this looks like a recipe I will love! Do you think it would work in a cake pan instead of muffin pan? If so, what size cake pan would you use? Thanks! Khadijah ~ Yes I think so! I made a gingerbread cake over Christmas that fit into a bread loaf pan, it had roughly 2x the ingredients at the muffin recipe above. So maybe try an 8x8 or 9x9 or mini loaf pans. Let me know how it goes! How much does a cup of fluffed flour weight? Anonymous ~ A cup of “fluffed” flour weighs 125 grams. I add that information to newer recipes, so that there’s both the “informal” way of measuring and the more precise weight with a scale. Thanks for asking! Anonymous ~ Next time I make these, sure. And I happen to be on a muffin-making mission so no promises but this may happen sooner than later. This morning I made the gingerbread muffins, which are delicious!